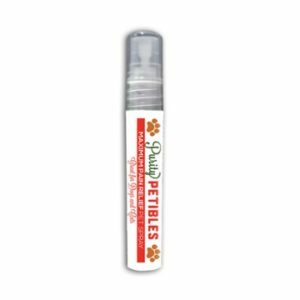 Maximum Pain Relief Pet Spray can help reduce seizures and convulsions, reduce vomiting & nausea, suppress muscle spasms, reduce joint and muscle pain, canker sore pain, cheek bites etc. Their product is an oral spray with natural ingredients mixed with full spectrum PCR hemp oil containing CBD and Turmacin®. Fast acting relief. Easy to carry and travel with. 8ml Spray bottle, 60 mg infused spray. 1.5 mg full spectrum PCR hemp oil per spray and 200 mg Turmacin®—a turmeric extract.